We have always been told the key factor to good real estate practices is based on LOCATION. Why struggle trying to fit the never-ending laundry list of todays’ home buyer into someone else’s old home that they abandoned or left because they just didn’t like it and didn’t take care of it? Our motto is simple: Sell the dream. Sell the potential. Sell the location.  Leave the rest up to Conniff Construction. Have a piece of mind knowing that you have a client that will be completely satisfied in their new dream home customized by them and built by the local trustworthy craftsmen. When client’s are willing and able to buy to rehab and create the home of their dreams, you refer Conniff Construction for the project. They are welcome to get other estimates, but we guarantee to be very competitive and if you choose us, YOU get 3% of the contracted cost! Contact us via our web form or give us a call at 732-350-5005 to get started today. Conniff Construction provides realtor opportunities to Toms River, Brick, Jackson, Point Pleasant, Freehold, Millstone, Belmar, Manasquan, and beyond.